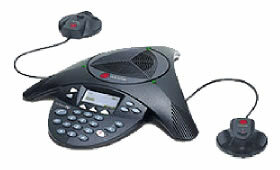 Conference calls made from head office to interstate & smaller branch offices. • Voice clarity & freedom of wireless • Now you can conference anywhere - even rooms with no phone lines. 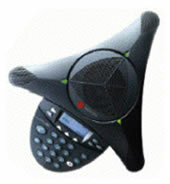 Polycom SS2WEX - SoundStation 2W/ upgradable without mics.